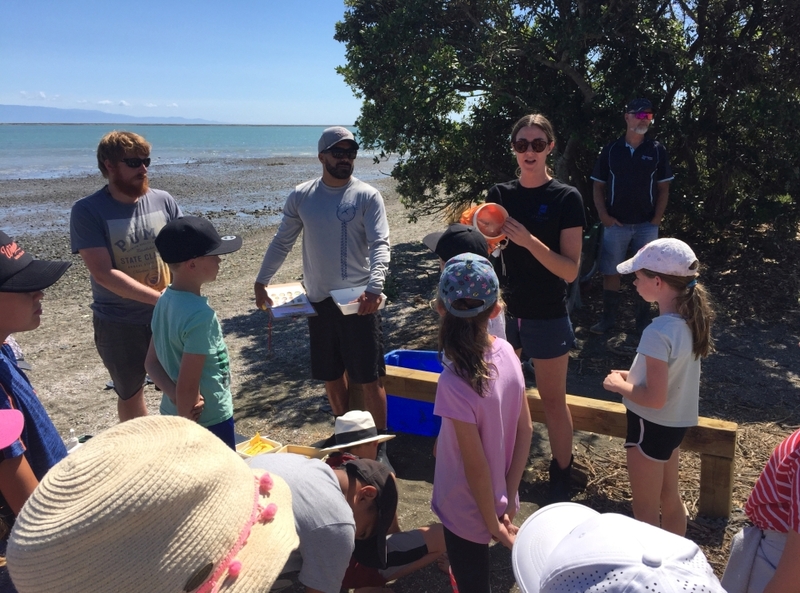 Photos appear here each day from the Diaries of the Sustainable Seas field trip in 2019. 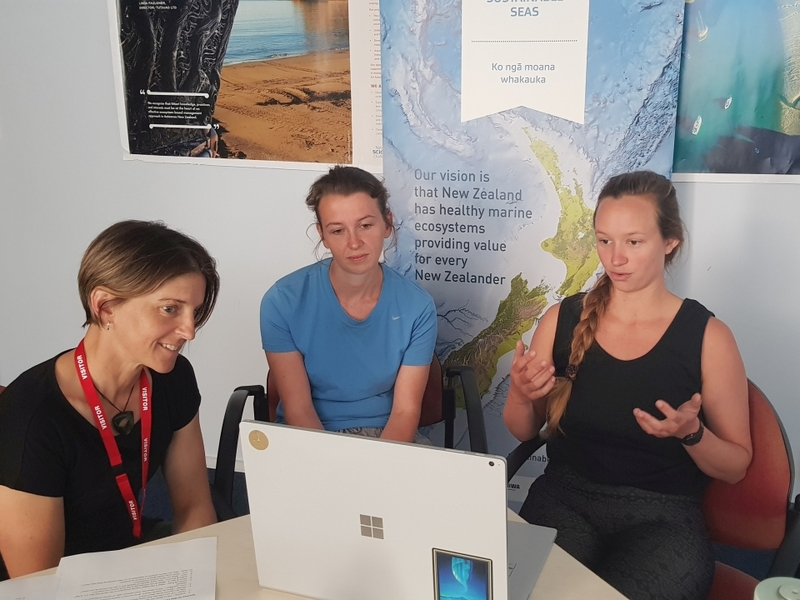 Dana, Shelley, Heni and Ross talk to students from Sancta Maria Catholic School during the final field trip web conference. Image: Meredith Cook, NIWA. 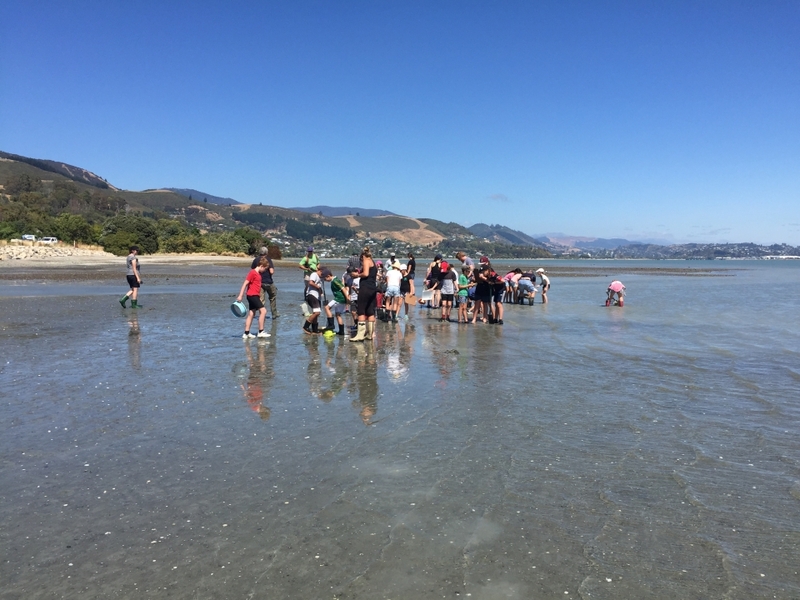 You took a stroll along Tahunanui Beach in Nelson to find out more about ocean currents and plastic pollution. Image: Shelley Hersey, LEARNZ. 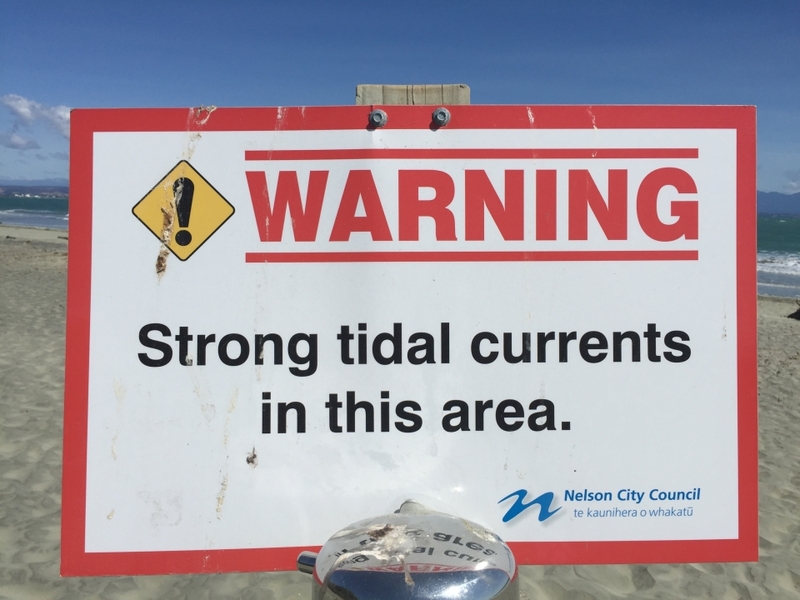 Tahunanui Beach in Nelson has some strong tidal currents. Why do you think this is? Image: Shelley Hersey, LEARNZ. 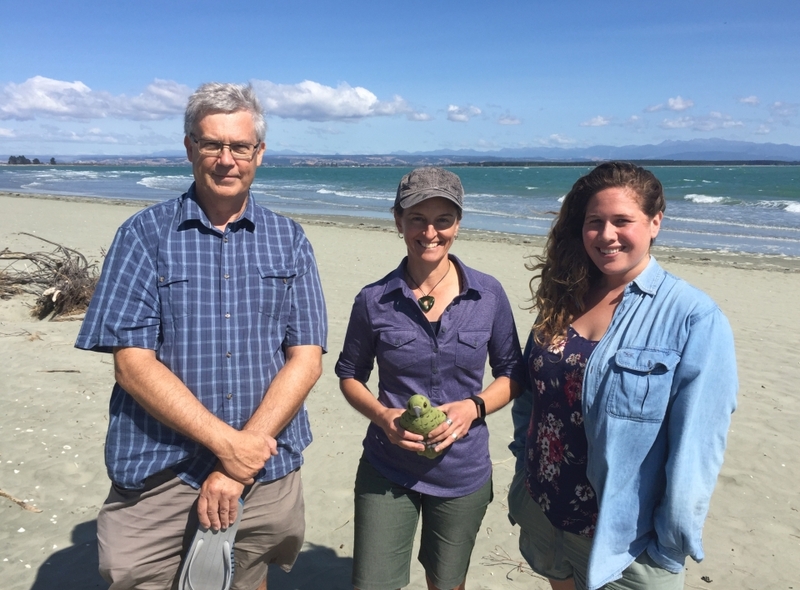 Ross, Shelley and Heni enjoy some time at the beach. 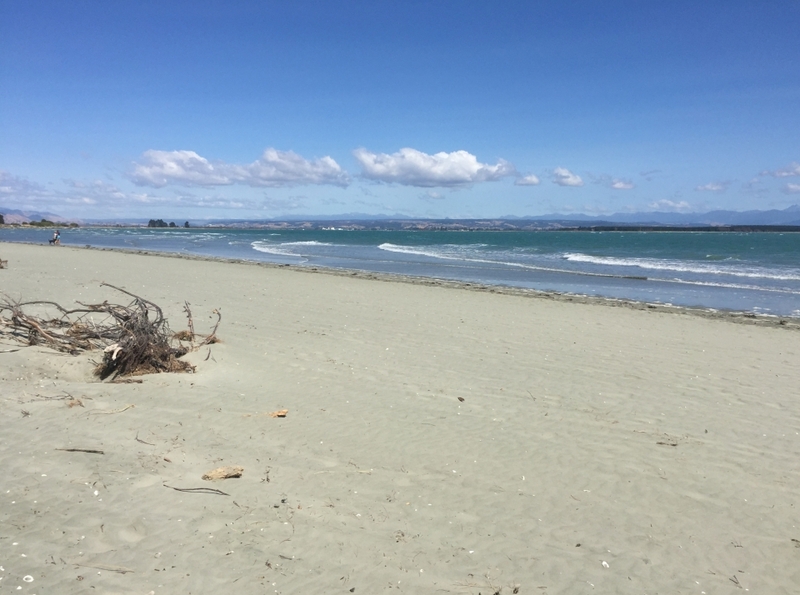 This beach looked clean, do you think they found any rubbish? Image: Andrew Penny, LEARNZ. 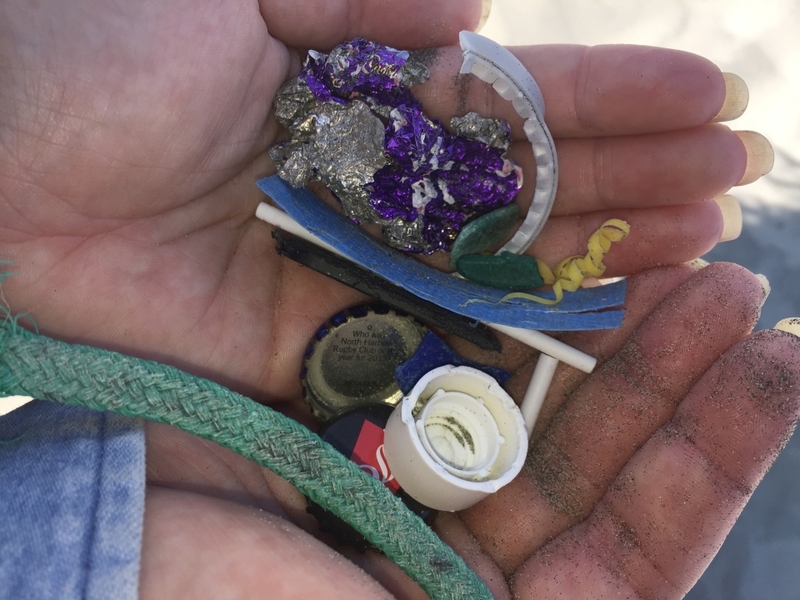 During a short stroll along Tahunanui Beach we easily found a handful of rubbish. Where do you think this rubbish has come from? Image: Shelley Hersey, LEARNZ. 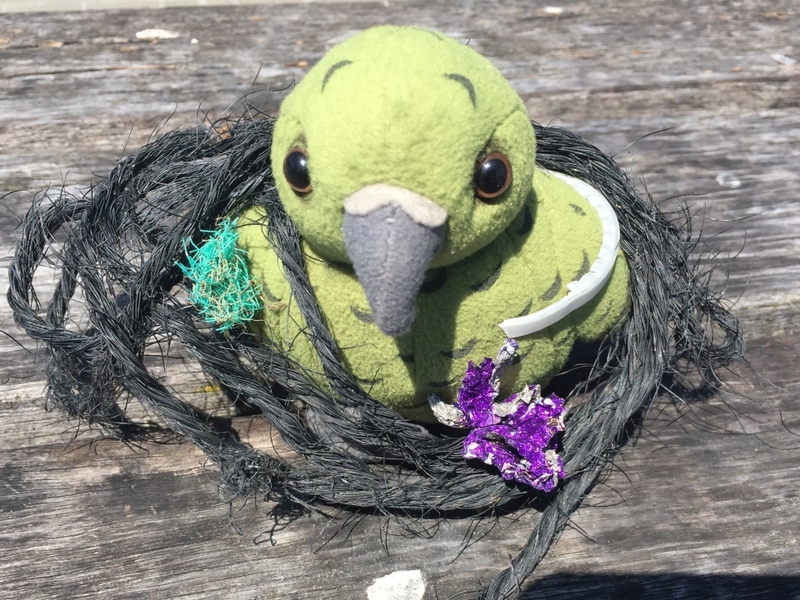 Being a curious kea, Māia quickly found some plastic and unfortunately got entangled. Image: Shelley Hersey, LEARNZ. 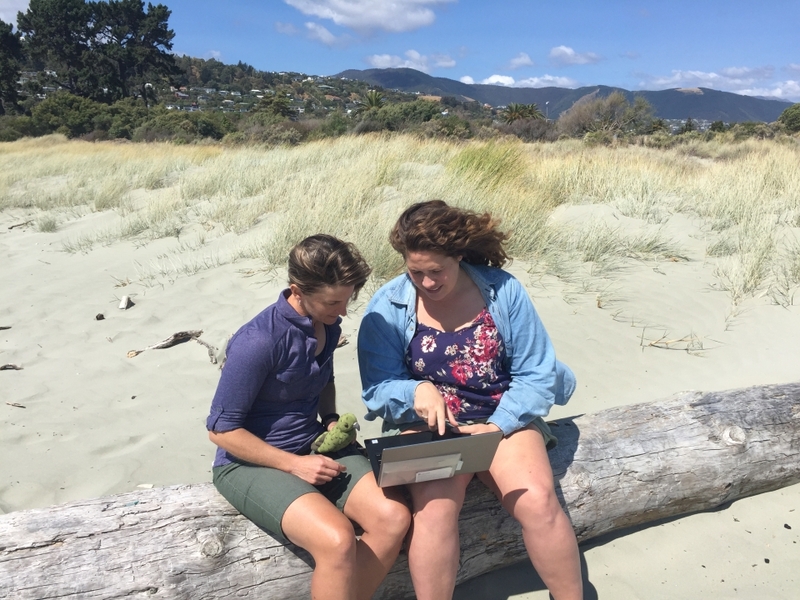 Heni shows Shelley the plastic tracking app that she has been working on. How could this app be used to help manage plastic pollution? Image: Andrew Penny, LEARNZ. 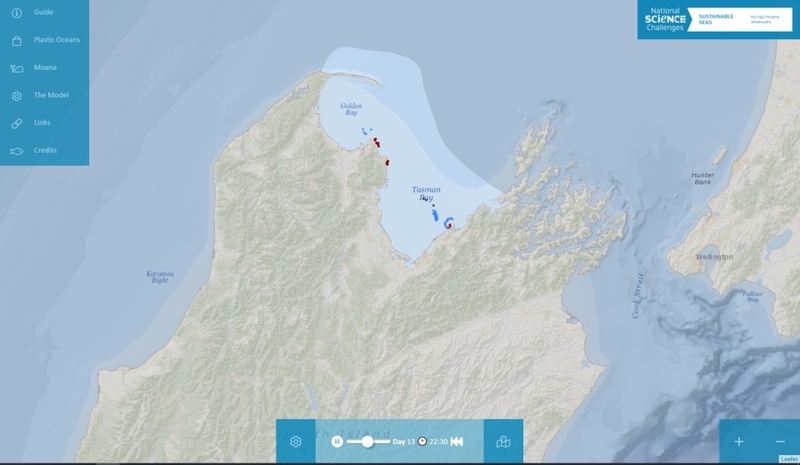 This image shows how virtual plastic dropped into Tasman Bay stays floating in the bay. Why would this information be useful? 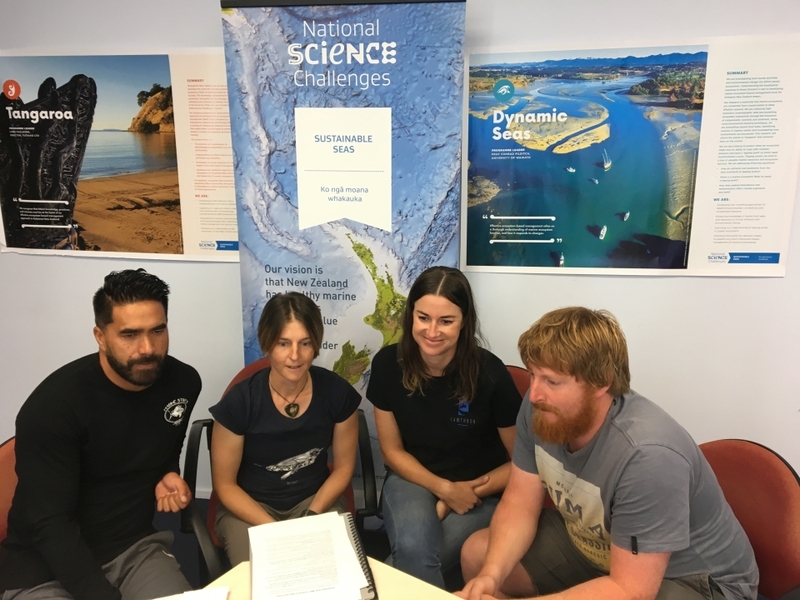 Image: Sustainable Seas National Science Challenge. 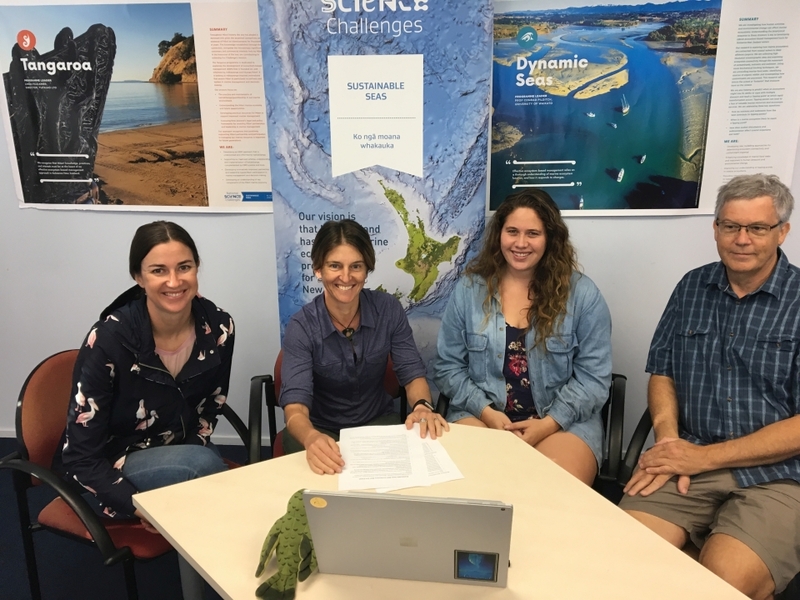 Regan, Shelley, Dana and Sam talk to students from Seatoun School during today's web conference. 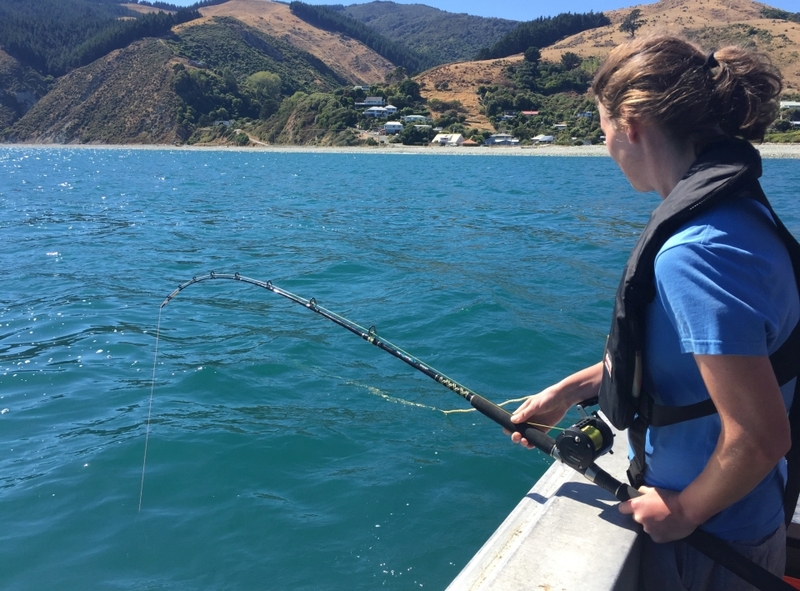 Image: Meredith Cook, NIWA. 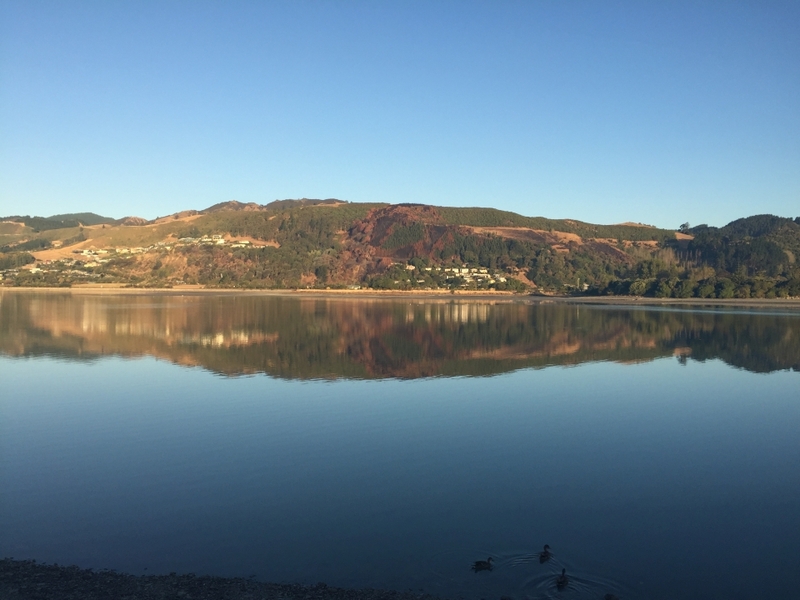 It was high tide this morning so Nelson Haven was full of water. What do you think this area looks like at low tide? Image: Shelley Hersey, LEARNZ. 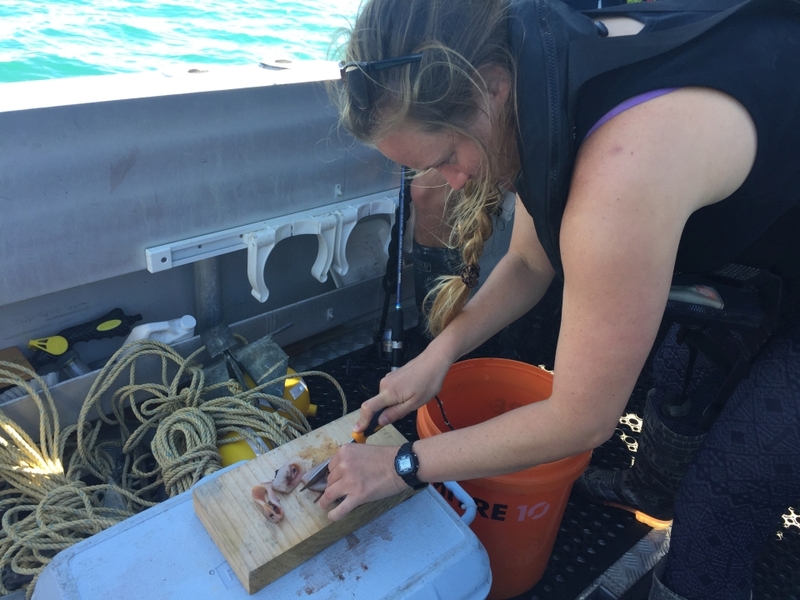 Dana holds up a corer used to take core samples of sediment. 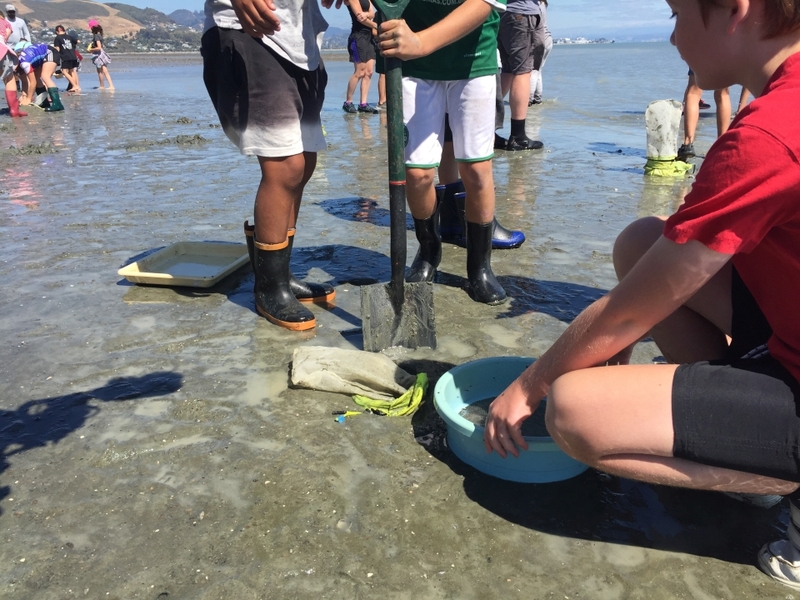 Students from Hampden Street School will take core samples out in the estuary. What are they looking for in these cores? Image: Shelley Hersey, LEARNZ. 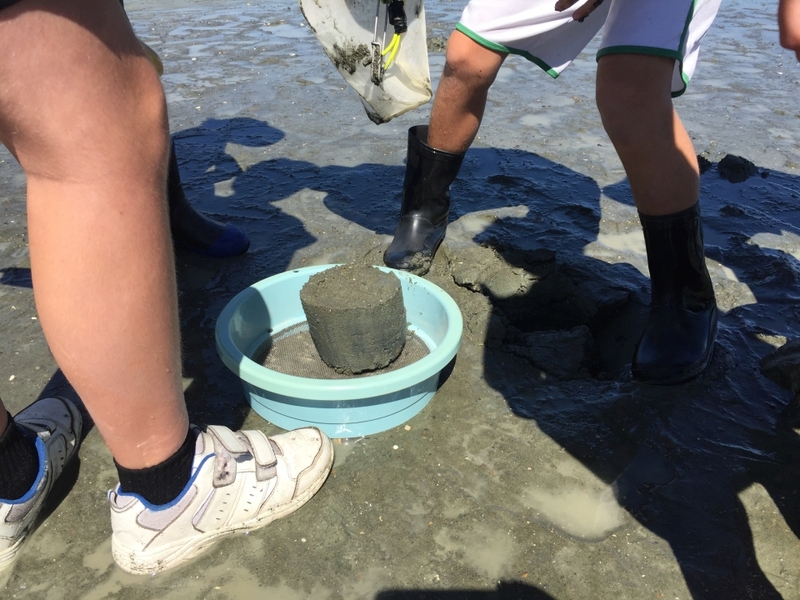 As the tide drops students head out to sample a muddy site so they can compare it with a sandy site. What differences do you think they will find? Image: Shelley Hersey, LEARNZ. Students dig out a core sample. Image: Shelley Hersey, LEARNZ. This core sample will be sieved to see what is living in the sediment. Image: Shelley Hersey, LEARNZ. 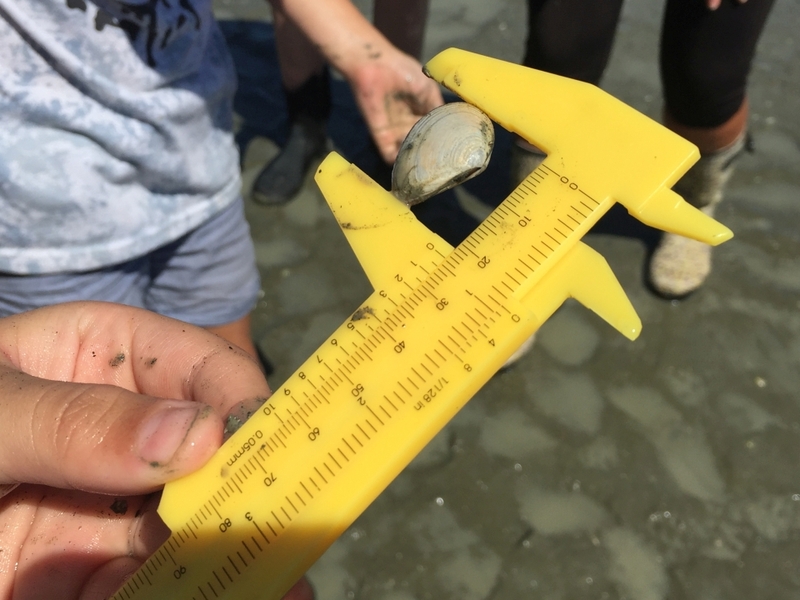 Students count the number of living cockles they find in each core sample. How do you think you can tell a living cockle from a dead cockle? Image: Shelley Hersey, LEARNZ. 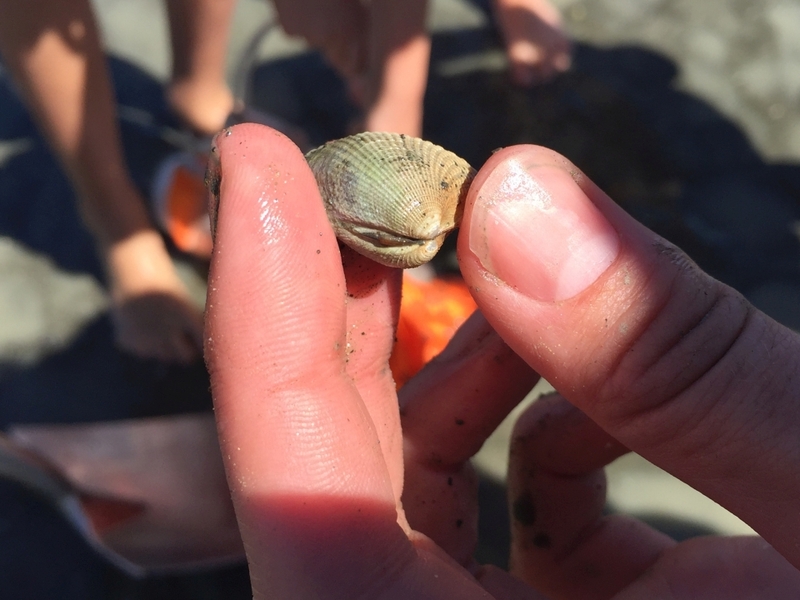 Students measured the shellfish they found. What type of shellfish is this? Image: Shelley Hersey, LEARNZ. At the sandy site there was more sea grass growing. 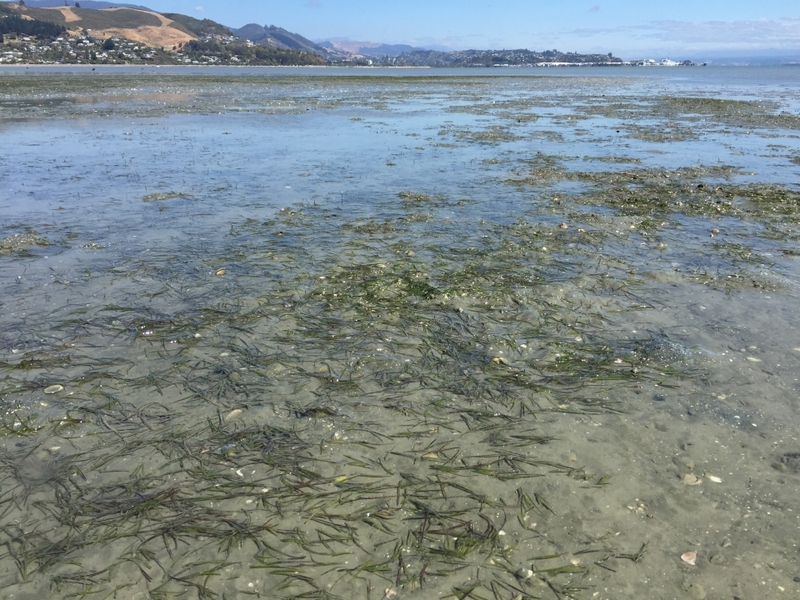 What role does sea grass play in an estuary? Image: Shelley Hersey, LEARNZ. Shelley, Rebecca and Clara talk to Ngatimoti School during the first web conference. Image: Andrew Penny, LEARNZ. 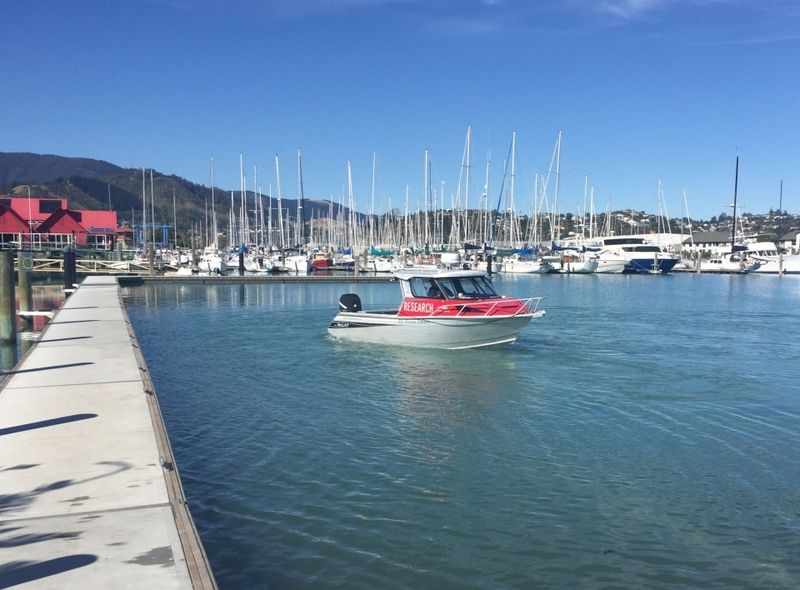 The NIWA research boat is launched in Nelson Haven ready to take you fishing. Image: Shelley Hersey, LEARNZ. 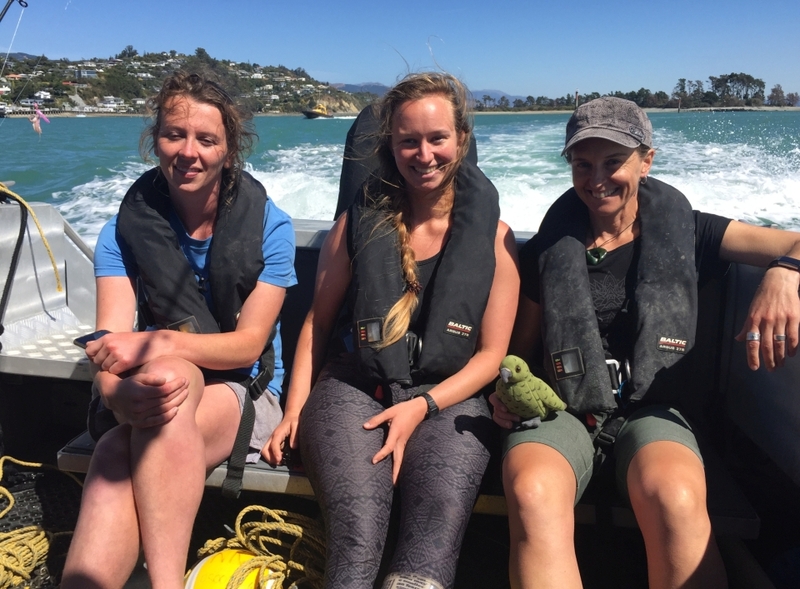 Rebecca, Clara, Shelley and Māia the LEARNZ ambassador head out past the Boulder Bank in Nelson to go fishing. What fish do you think they might catch in this area? Image: Andrew Penny, LEARNZ. Clara prepares some bait. What do you think this bait is? Image: Shelley Hersey, LEARNZ. Rebecca waits patiently for a fish to bite. Image: Shelley Hersey, LEARNZ. John sets some pots to try and catch some fish. What types of fish do you think he could catch in these pots? Image: Shelley Hersey, LEARNZ. 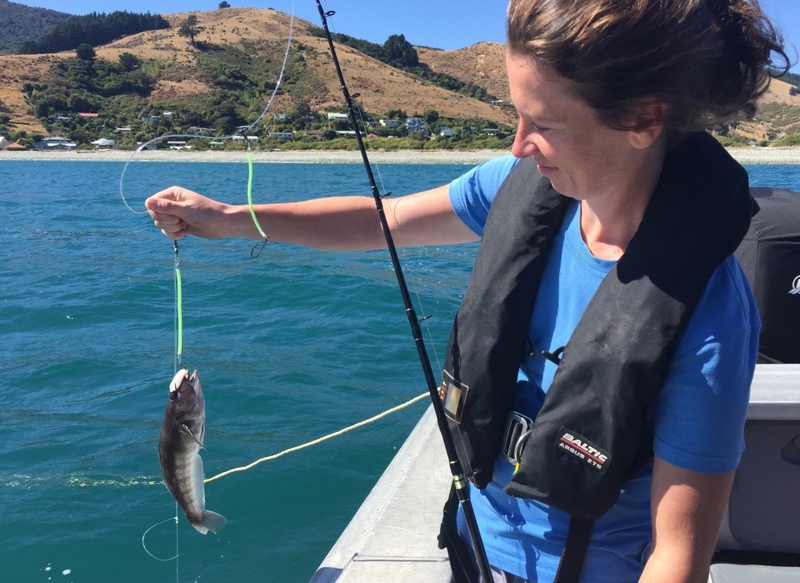 Rebecca catches a blue cod but it is under the minimum size. What is the legal size for blue cod? Image: Shelley Hersey, LEARNZ. Success! Finally you catch a legal-sized fish. Do you know what type of fish this is? Image: Shelley Hersey, LEARNZ. 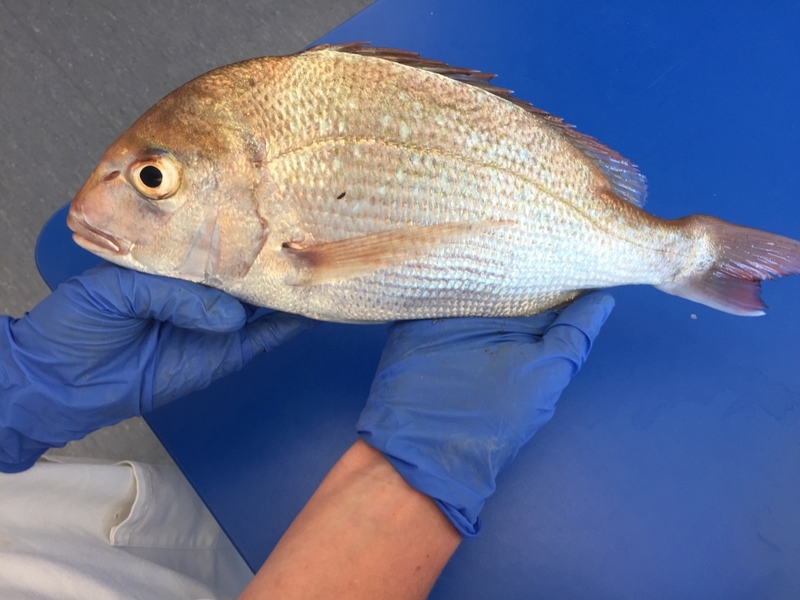 Rebecca prepares a snapper for dissection. What do you think she will learn from dissecting this fish? Image: Shelley Hersey, LEARNZ. 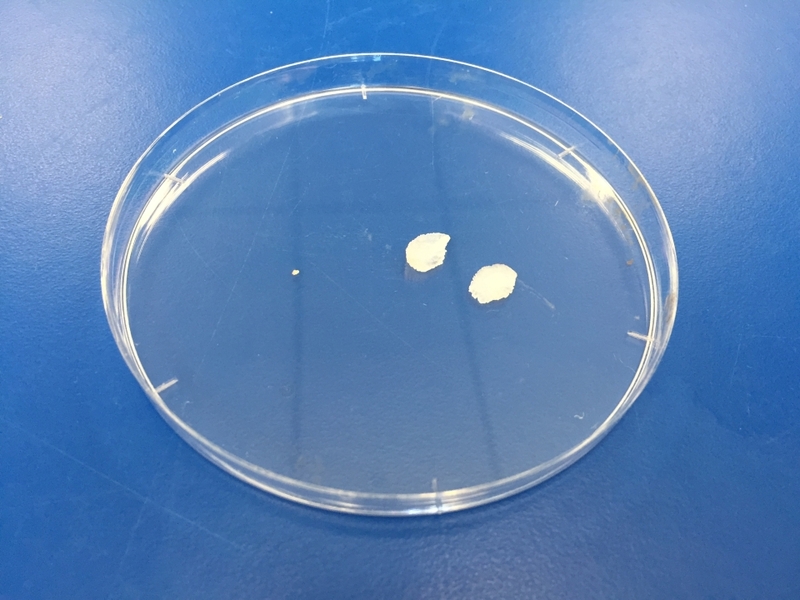 These are otoliths, the ear bones of a fish. 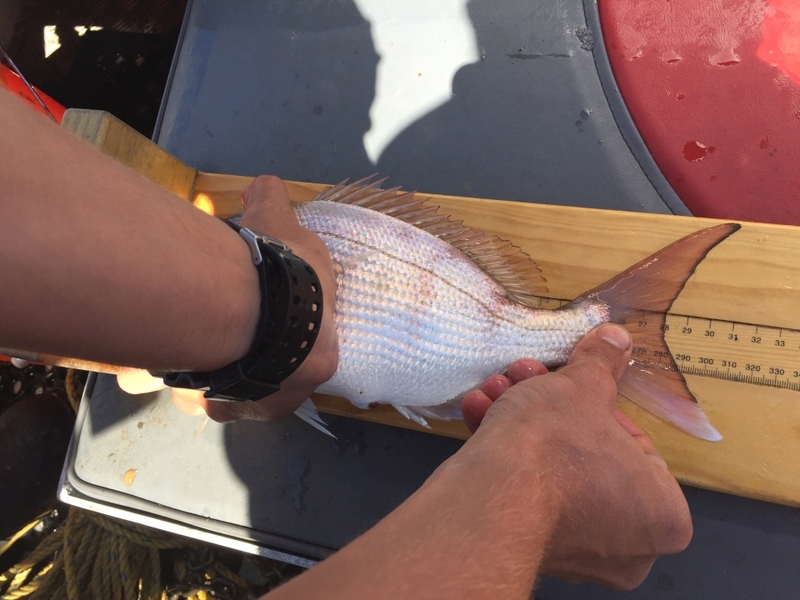 What can the otoliths tell us about this fish? Image: Shelley Hersey, LEARNZ. 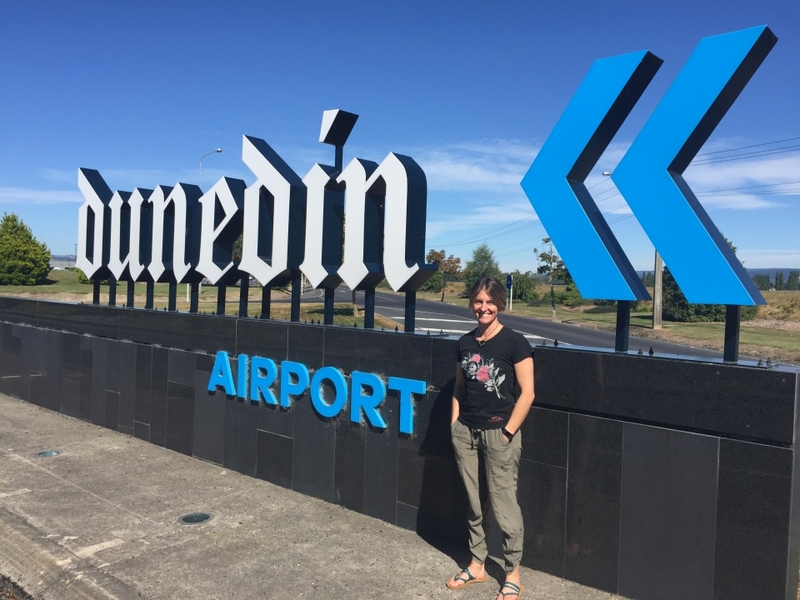 Shelley arrives at Dunedin Airport ready to begin her journey to Nelson for the Sustainable Seas field trip. Image: Paul Hersey, LEARNZ. 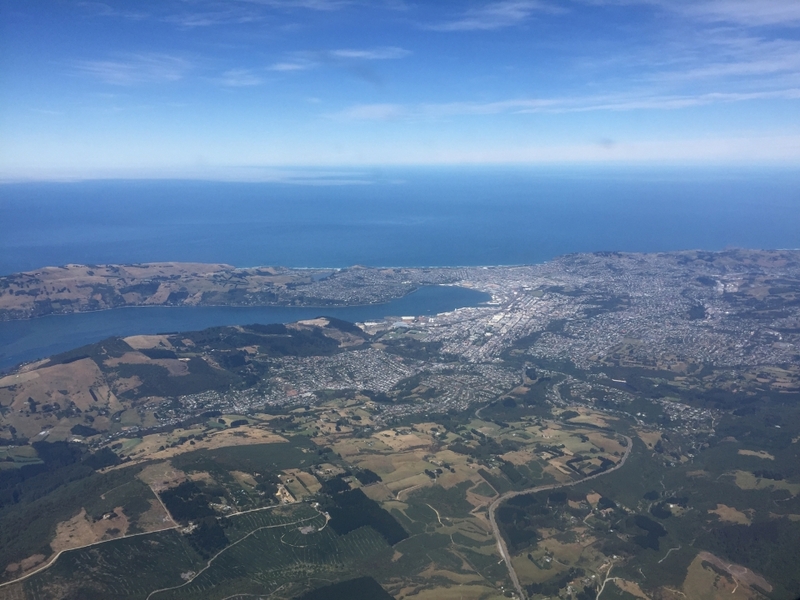 Looking out across Dunedin City on your way to Christchurch. Image: Shelley Hersey, LEARNZ. 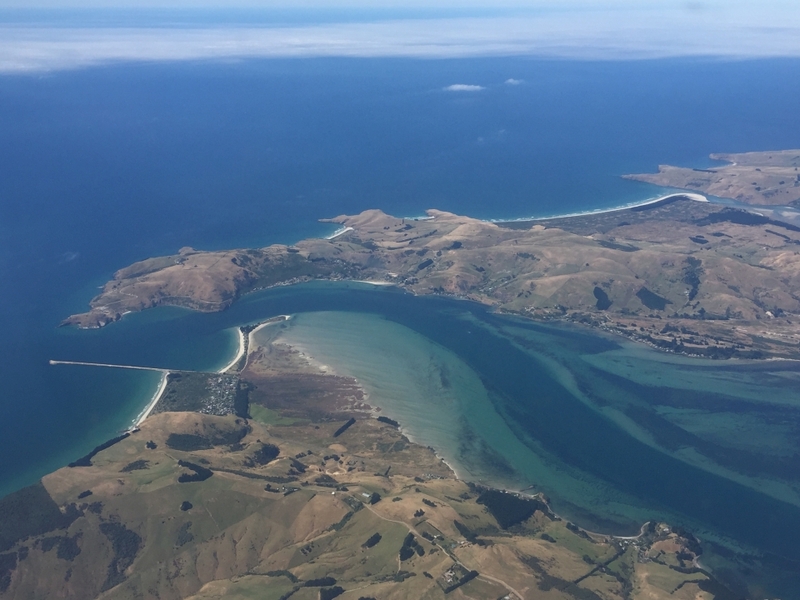 You could see the narrow entrance to Otago Harbour and the channel that ships follow on their way to Port Chalmers. Image: Shelley Hersey, LEARNZ. 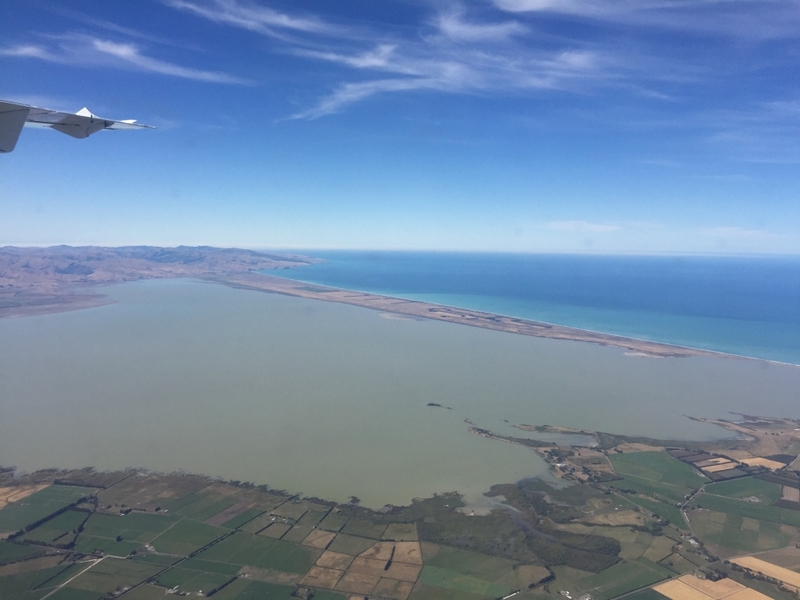 Lake Ellesmere Te Waihora was easy to spot during your descent into Christchurch. 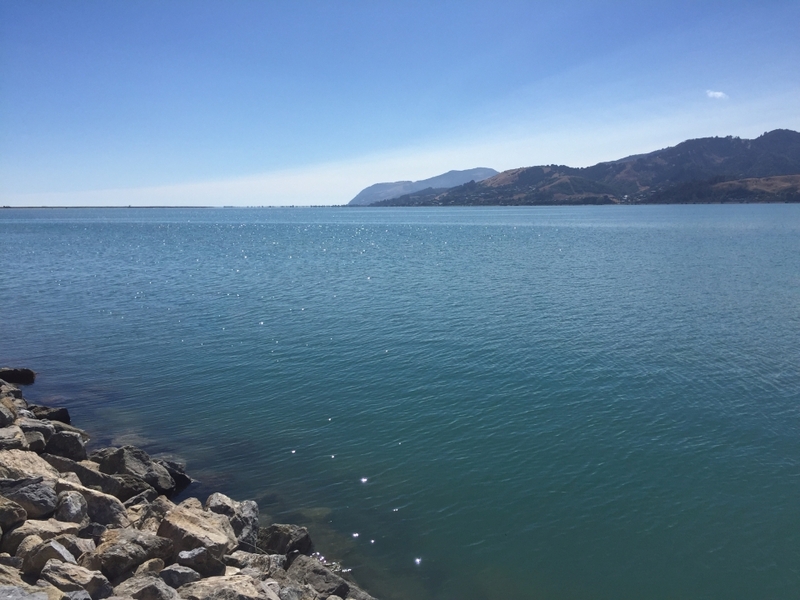 This lake is a shallow, brackish coastal lake and is an important site for wildlife. Image: Shelley Hersey, LEARNZ. 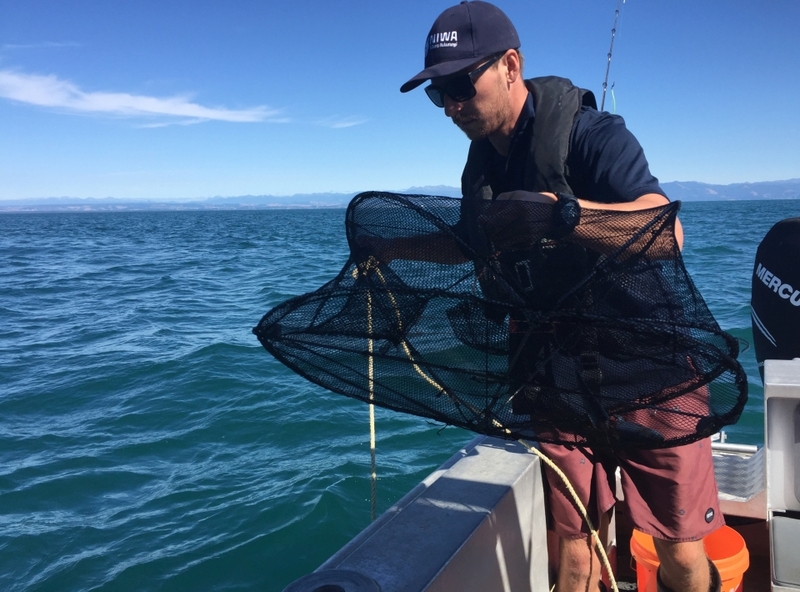 You left the Kaikoura coast and headed northwest across the mountains towards Nelson. 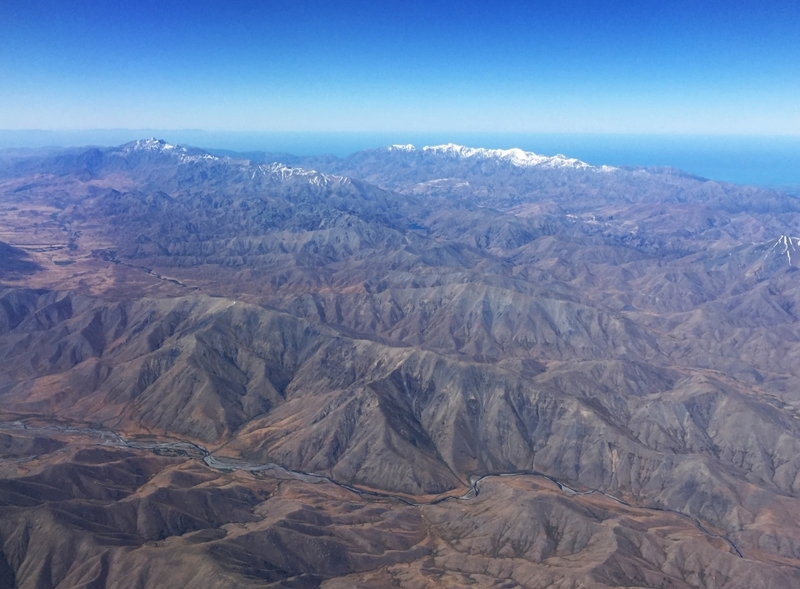 Do you know the names of these mountains? Image: Shelley Hersey, LEARNZ. 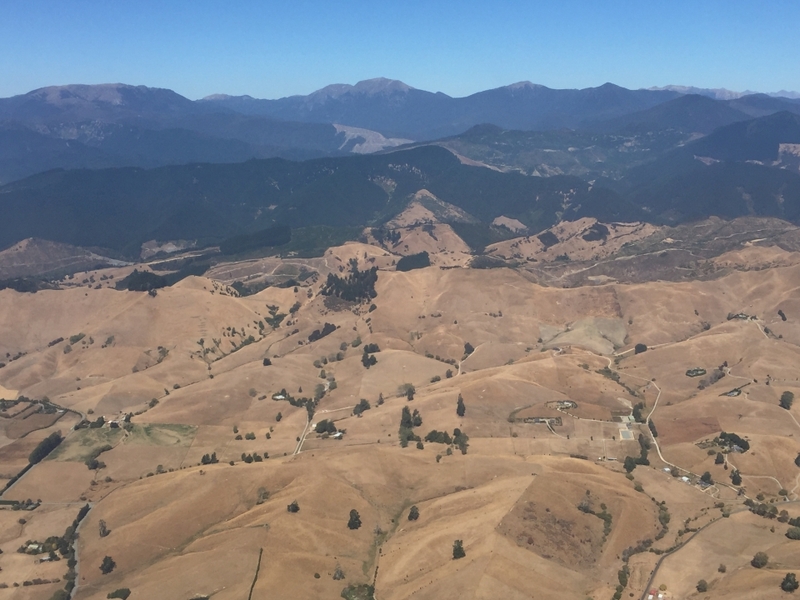 As you approached Nelson you could see how dry the area has become. Image: Shelley Hersey, LEARNZ. 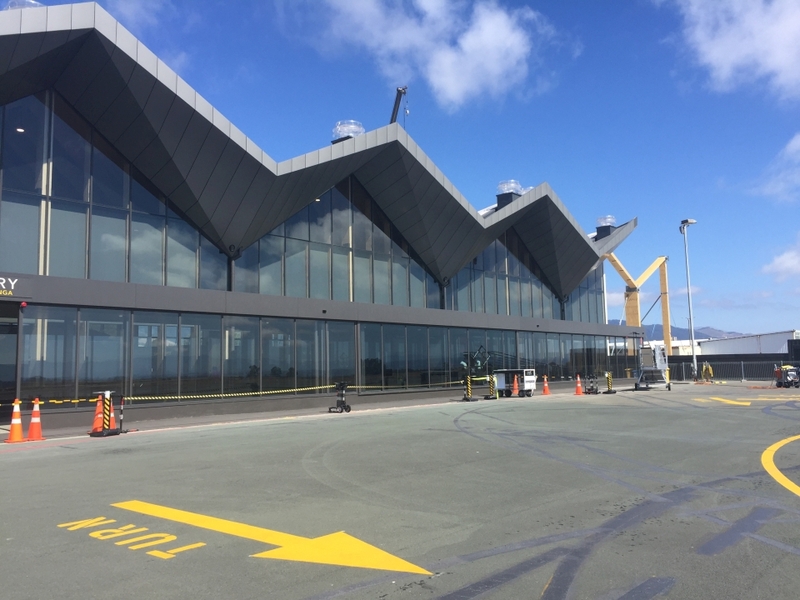 You were greeted in Nelson by the new airport terminal which is just about complete. Image: Shelley Hersey, LEARNZ. Looking out across Nelson Haven you could see an area where a fire recently broke out. How do you think people can reduce the risk of fire during times of drought? Image: Shelley Hersey, LEARNZ. 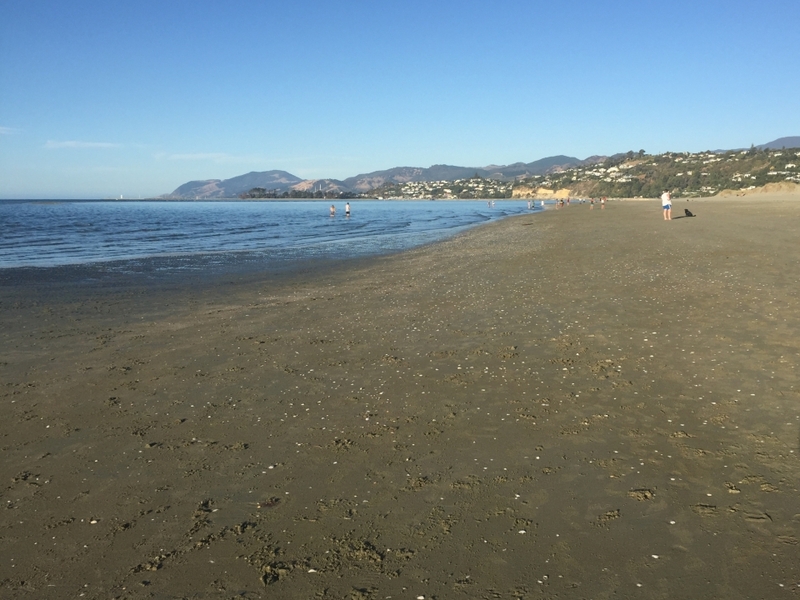 It was a stunning evening for a walk along Tahunanui Beach in Nelson. What do you most enjoy about time at the beach? Image: Shelley Hersey, LEARNZ.